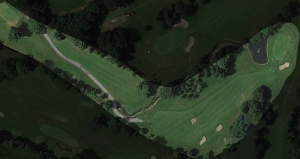 The 12th hole is an interesting dogleg left measuring 312 metres. Out of bounds on the left, requires a shot of 200 metres to carry the stream. If you play to the right, a slightly longer approach shot awaits. 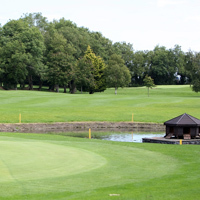 A large pond protects the front left of the green. The green slopes sharply from back to front.